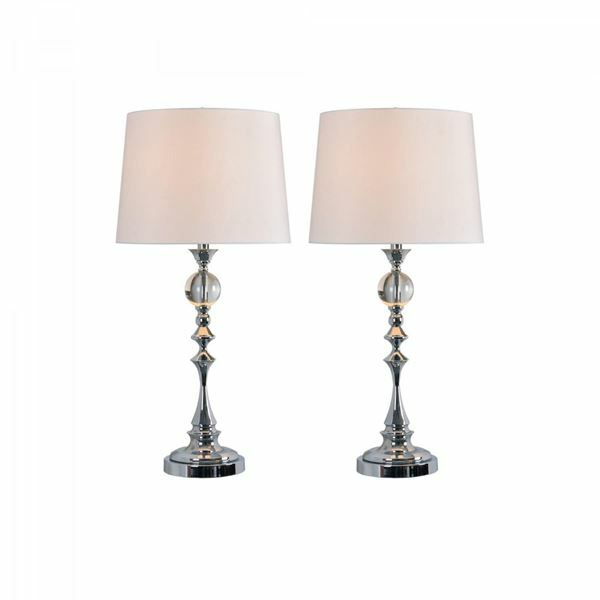 Set of 2 Palmer Table Lamps from Kenroy Home. Contemporary, round chrome base with a round white shade. Shinny Chrome finish with Clear crystal accents.